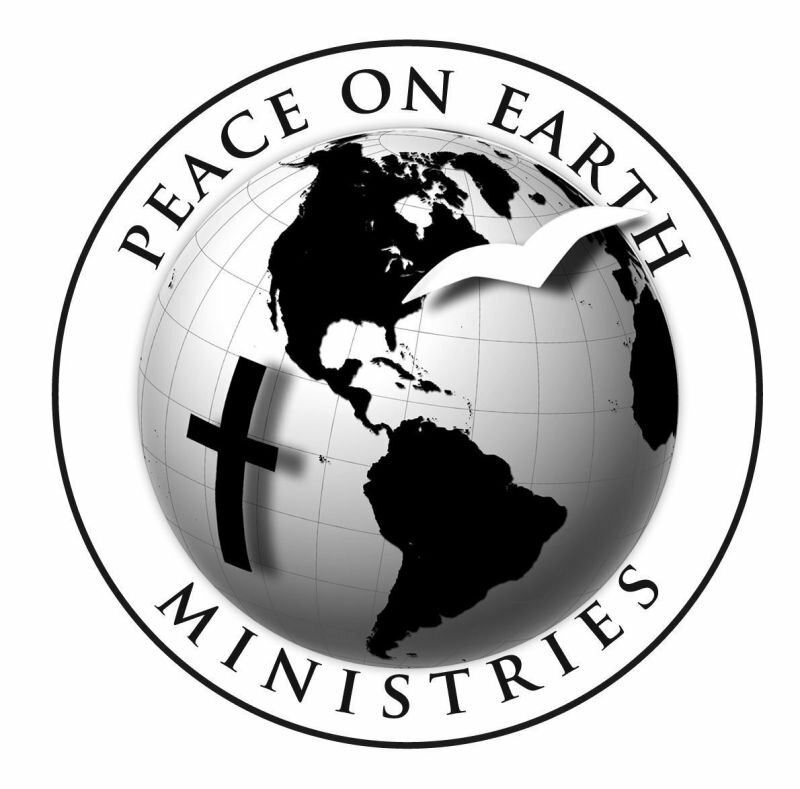 Welcome to the new Website of Peace on Earth Ministries! I’m glad you dropped by to check us out. Evelyn and I founded POEM in 1992. We are all about “proclaiming peace to the nations” (Zechariah 9:10). True peace is found only in Jesus Christ. “For He Himself is our peace” (Ephesians 2:14). There will never be peace on earth until the peace of Christ reigns in our hearts, our homes, and our churches. Jesus prayed that believers would be one in Him so that the world would believe (John 17:20, 21). To hasten this day we proclaim this message wherever we are invited. We publish a Christian magazine, monthly newsletter, and other Christian literature. And we partner with fellow Christian ministries to proclaim peace to the nations.I hope you will enjoy your visit to this site. To challenge those who share the same religious heritage in the Restoration Movement to recognize one another as brothers and sisters in Christ, and to reach out to all who believe on Christ through the Word (John 17:20). This we do through our beautiful quarterly magazine One Body. To provide opportunities to bring us together where we can study, pray, listen, learn and discuss our differences in the Spirit of Christ. This we do participating in special meetings focusing on Christian unity. To encourage joint participation in good works. 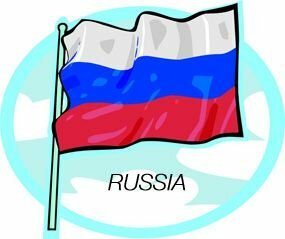 This we do through networking with other ministries, sending monthly gifts to support literature work in Russia, leadership training in Cuba, evangelistic and humanitarian aid in Poland, and other Christian endeavors around the world in Ukraine, Belarus and India. To inform the body of Christ about news of significance and articles of interest relating to cooperative efforts in Christian unity and world evangelism. This we do through the upbeat monthly report in The Knowlesletter. To offer our services to share the message of John 17:21. "That they all may be one . . . that the world may believe." This we do in our travels, wherever invited, in the U.S. and abroad, to Christian churches, conferences, conventions and colleges. POEM (Peace on Earth Ministries), founded in 1992 by Victor & Evelyn Knowles, is supported solely by individuals and congregations who are interested in Christian unity for the sake of world evangelism. 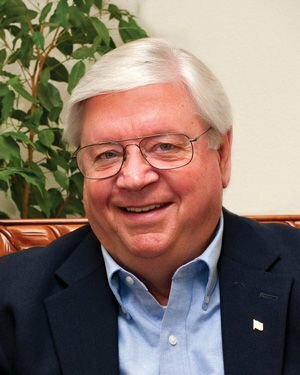 VICTOR KNOWLES is a 1968 graduate of Midwestern School of Evangelism. For 25 years he and his wife Evelyn ministered to churches in the Midwest and Pacific Northwest. 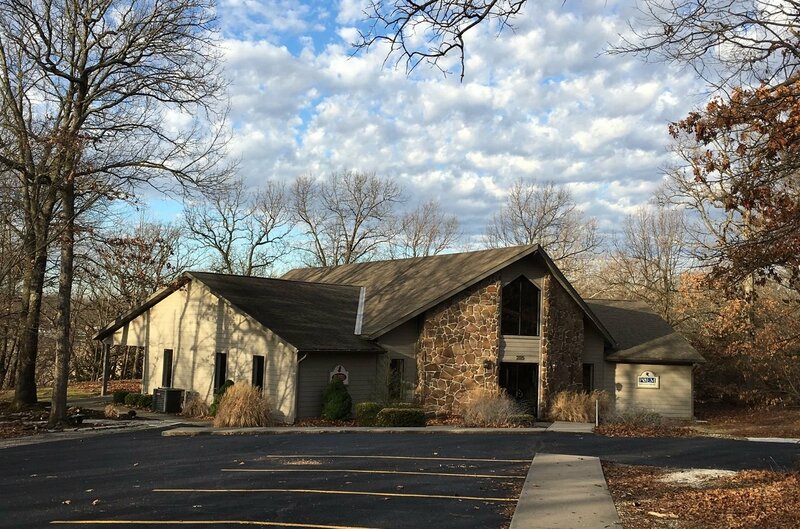 In 1992 they founded POEM (Peace on Earth Ministries) in Joplin, Missouri. Victor serves as President of POEM.Knowles has authored 20 books including Angels & Demons, Voice of Thunder - Heart of Tears (the biography of Archie Word), Taking a Stand, and The Biblical Roots of Islam. His latest book is Together in Christ - More Than a Dream. He is a contributing writer to The Encyclopedia of the Stone-Campbell Movement. Several hundred of his articles and essays have been published in more than 40 journals including Pulpit Helps, Moody, and Christian Standard. He is a special assignment writer for The Lookout. Victor has spoken for the Pepperdine University Bible Lectures, International Soul Winning Workshop, North American Christian Convention, National Missionary Convention, National Prayer Clinic, National Preaching Summit, and several Bible conferences, college lectureships, and family camps. He has preached throughout the United States and in Australia, Belarus, Canada, Cuba, England, India, Mexico, Northern Ireland, Poland (6X), Puerto Rico, Russia, Scotland, Ukraine, and Zimbabwe. The unity of God's people is always on his heart. He has been a participant in the Restoration Forum for many years. In 2004, Howard Publishing Company presented Victor and Evelyn with their “Spiritual Development Award” at Pepperdine University for their “continual efforts to uphold the unity of believers as prayed for by Jesus.” Historian and author Dr. Leroy Garrett said, “I appreciate you both for your passion for Christian unity and your compassion for suffering humanity.” (POEM partners with fellow ministries in evangelistic and benevolent work in Cuba, Belarus, India, Poland, Russia, and Ukraine.) Victor was presented with Pepperdine University's "Distinguished Christian Service Award" at the 2011 Pepperdine Bible Lectures. On his office door is a quote from C. S. Lewis: “All that is not eternal is eternally useless.” His heroes (besides his parents, Dale V. and “Dearie” Knowles) are The Lone Ranger, Stan “The Man” Musial, Dietrich Bonhoeffer, Sir Winston Churchill, Richard Wurmbrand, Ivan Prokhanov, James Deforest Murch, and Donald G. Hunt. Victor and Evelyn have six children and 10 grandchildren. Their residence is a vintage 1930s house (“with lots of character”) in Joplin, Missouri. As a practical expression of our unity in Christ, Peace on Earth Ministries works in partnership with existing ministries in the following countries to provide evangelistic and benevolent aid. 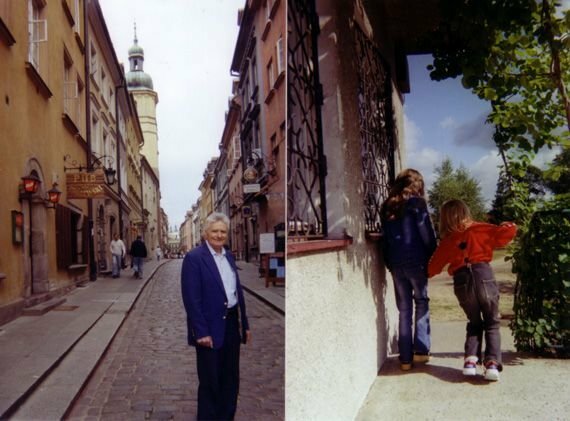 We have been working in Poland since 1990, two years before we began POEM. By sending monthly support to Kostek and Mary Jakoniuk and the church in Bielsk Podlaski, we thus allow Polish Christian Ministries to spread their funds to other churches. Our gifts are used for evangelism and benevolence.Victor has made six preaching trips to Poland. POEM also partners with Global Missionary Ministries in sending monthly support for Kazik Barchuk and his Warsaw-based Send Me Ministries, an outreach to Jewish survivors of the holocaust. Many have been baptized into Christ. The support also helps Kazik send Jewish children in Poland (and Ukraine and Belarus) to summer Christian camps. Kostek Jakoniuk in old Warsaw. Crippled Jewish child at Christian camp. We have helped the church in Zdolbycia with the purchase of a new van that is used in village outreach, visits to a state-run orphanage, and summer Christian camps. 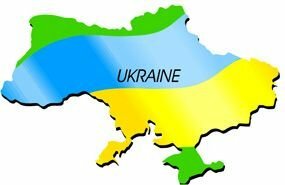 State-run orphanage in Ukraine where Christians minister to children. 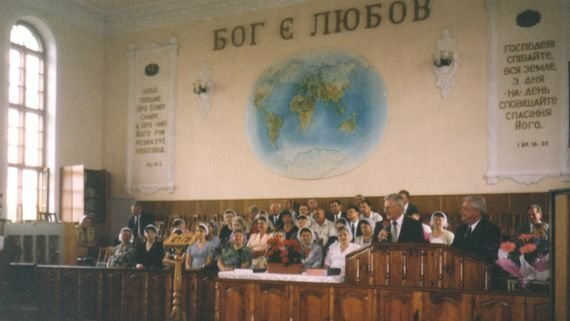 Victor preaching in Rovno, Ukraine. Inscription on wall: "God is Love." Victor had great compassion for the children of India during his 2003 trip. 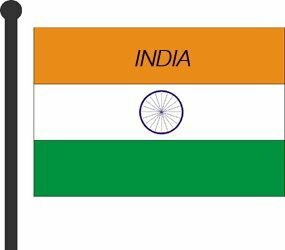 As a result, in partnership with Pushpa Lall of Mid-India Christian Mission and Sheela Lall of Oasis of Love, support is periodically sent to aid in the feeding and education of 47 blind children and 67 special needs children. 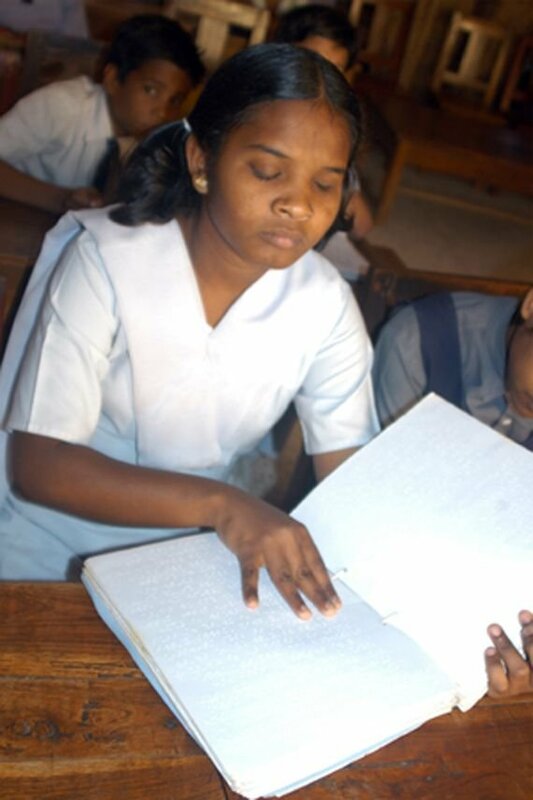 Student in School for the Blind. Sheela and Pushpa Lall with happy children from Oasis of Love. In 1993 POEM published In the Cauldron of Russia, the amazing autobiography of Ivan Prokanhov (1869-1933), the great Russian reformer who led 4 million people to become “Christians only.” This book, available from POEM in both English and Russian, was a product of our partnership with White Fields, Literature and Teaching Ministries, and World Evangelism Global Outreach. POEM also partnered with WE-GO to resurrect Prokanhov's journal Morning Star and hopes to produce a new youth magazine in Moscow. 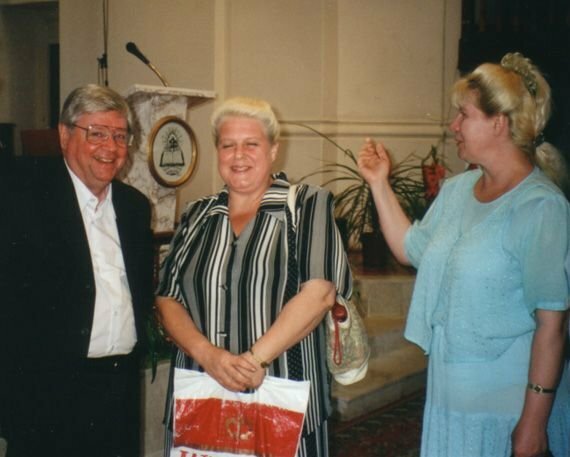 Victor in St. Petersburg church with happy Christians. 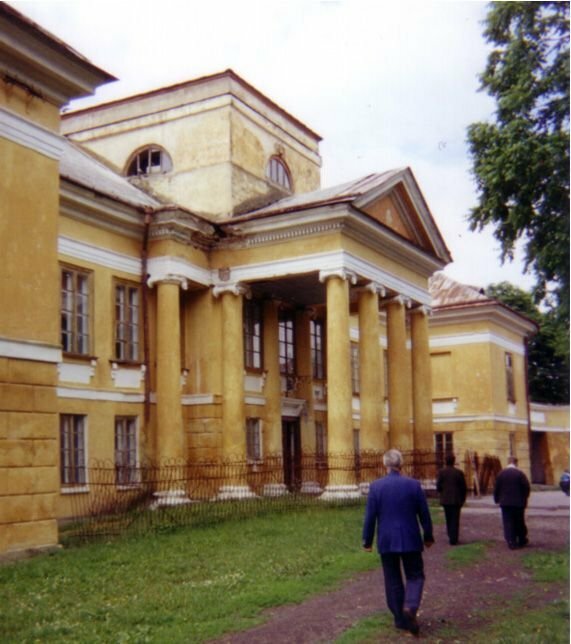 In 2004 POEM teamed up with GMM on a mission of mercy to Beslan, Russia, to minister to the survivors of the Chechen terrorist attack on one of Beslan's schools where 350-some people were killed. We have helped build a Sunday School wing on the Evangelical Christian Church who lost 15 of its young people in the senseless massacre. 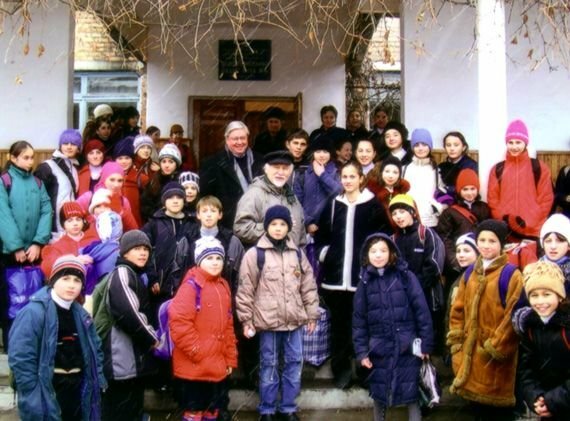 Victor and George Bajenski with school children in Beslan, Russia. Victor also visited the North Caucus Bible Institute, Prohladniy, North Ossetia, Andrei Kravtsev, Director. The area is 94% Muslim and extreme Wahhabites are bent on forming an Islamic empire “from the Sea (Black) to the Sea” (Caspian). POEM seeks to help NCBI mobilize Christians to serve Christ in this Muslim stronghold. NCBI students attentively listening to instructor.